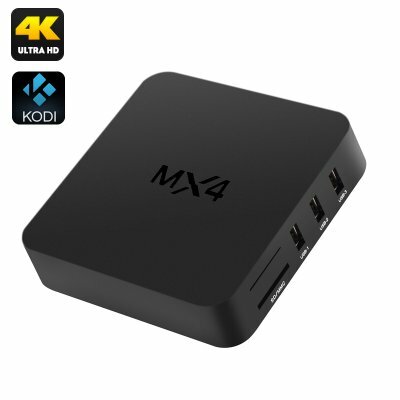 Successfully Added MX4 Quad Core Android TV Box - Wi-Fi, Bluetooth, RK3229, 1GB RAM, 8GB ROM, 4K Support, Kodi 15.2, 4 USB Ports to your Shopping Cart. The MX4 Quad Core Android TV Box comes with a 12 months warranty, brought to you by the leader in electronic devices as well as wholesale Android TV Boxes..
Raccomandato vivamente , ottima velocità di risposta rende la tv Smart , paragone economico rispetto ad altri siti ottimo . Excellent performance great all around box would highly recommend.